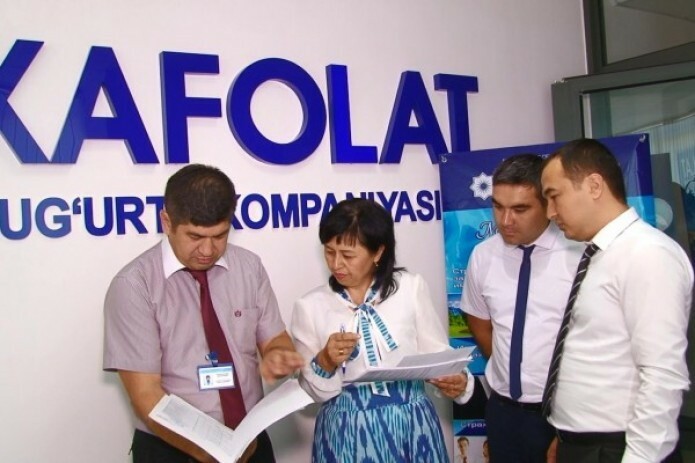 Timely execution of commitments under insurance contracts is one of the priority tasks of JSC "Insurance company Kafolat". According to operational data of August 1, 2017, the company entered into 405 thousand insurance contracts, thereby collecting nearly 44 billion soums of insurance premiums. Insurance premiums are mainly concentrated in compulsory types of insurance. Nearly 266 thousand agreements were concluded on compulsory insurance of civil liability of vehicle owners, with premiums collected under them amounting to 13 065,8 million soums. Over 7 months of the current year, the company has reviewed 6500 insurance claims and paid 15.5 billion soums in compensations. Under compulsory insurance of civil liability of the employer, the company paid 8.5 billion soums.